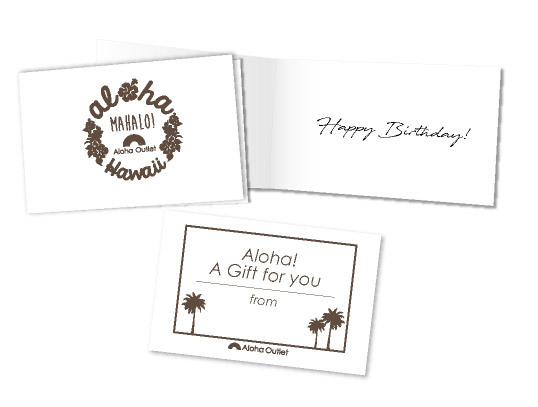 Hawaiian Gifts | Free Shipping from Hawaii! Fitting the occasions of Hawaiian weddings’ gifts and favors, and people that just love Hawaii, these Hawaiian pieces will - without a doubt – put a smile on people’s faces. Make it more festive with gift wrapping papers and message cards too! 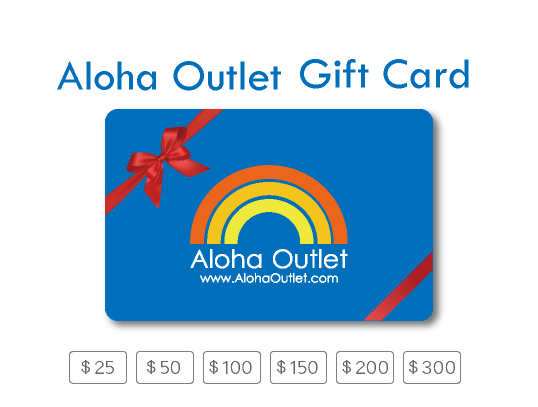 This gift card is redeemable in our stores and online shop. We will provide a complimentary message card to your order when requested during your order placement. Aloha Outlet Original Gift Bags for $2 each! This bags are our original gift bag. These bags make your gift gorgeous! Lauhala Box Gift Wrapping Service for $13 each! This wrapping service is the perfect companion to anyone who appreciates Hawaiian products and Hawaiian culture.